What do Prosperity and Abundance Mean to You? One of the most powerful desires that burns deep within our hearts and belly’s is a yearning to have and be prosperous and abundant. The word “money” has so much emotion and drama attached to it, it’s difficult at best to steer our conscious minds away from lack and limitation. Ego — edging guidance out — is ever vigilant about keeping us in “our place,” therefore, we must be vigilant and constantly on guard to be sure we don’t run out of this precious energy of money. And the list goes on-and-on. The conscious mind has been programmed and repeatedly imprinted with negative beliefs, thoughts and feelings about money … keeping us from feeling and being prosperous and abundant, experiencing financial freedom. If you aren’t where you want to be financially … or well on your way … then there is a block somewhere near the surface or buried deeply within your conscious mind. One of the easiest ways to get to the root of what’s blocking the natural flow of prosperity and abundance in your life is revealed in the Divine Wealth MindMap. There are nine pathways or channels that restrict — or — increase prosperity and abundance sooner rather than later. 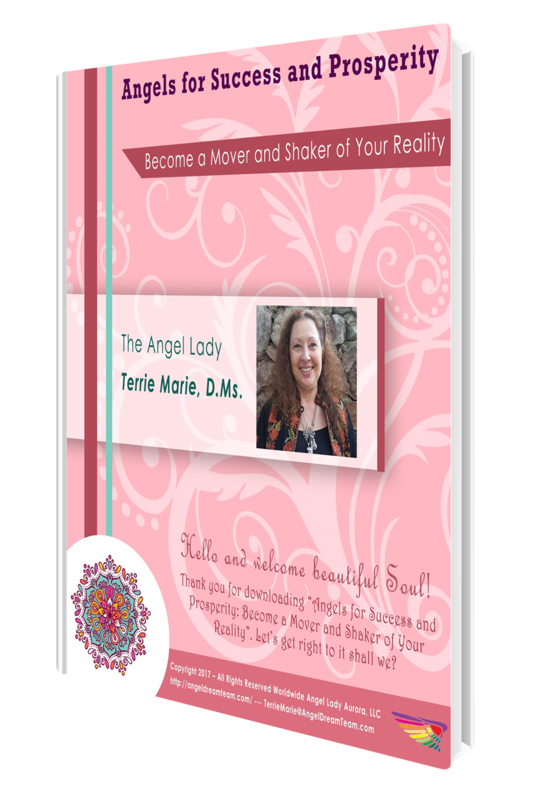 Click here to get your Divine Wealth MindMap now … it’s free … a gift for you. Learn from my mistakes, stumbles and failures. What is your biggest block to prosperity? There are so ways Ego-chitter chatter creates distractions that show-up as fear and doubt. What is your biggest block to manifesting and having prosperity? … being able to manifest consistently? … believing in yourself and / or your dreams? … not being connected clearly enough Spiritually? … because there is too much drama in your life and relationships? … not feeling worthy or deserving of being prosperous? … a lack of feeling believing that what you have to offer isn’t of value or important enough to share … who’d listen anyway … right? … health issues that keep you from showing-up for yourself and your dreams? … feeling like you are alone, having to do everything on your own with no one to support you? … because your thoughts and emotions are out of alignment with what you say you want? If you answered “yes” to even one of the statements above, struggle is getting in the way, blocking the flow of prosperity and abundance into your life. Now that you have some clarity about what’s come between you and prosperity, you can begin to unravel the deeper cause and heal it. Let’s say the biggest block is being in alignment mentally and emotionally with what we want. #1 – Emotional Energy affects everything we feel. If we are upset, irritate, angry or afraid, then this lowers our Divine Wealth vibration. Emotions are a way for us to quickly determine that we are out of balance. Being out of balance, throws our dreams out of alignment. #2 – Mental Energy is fed by our emotions. What we feel is directly connected to what and how we think. Our thoughts in turn feed our emotions and before you now it, things begin spiraling out-of-control until we have managed to work ourselves into a frenzy … usually over nothing much at all. #3 – Money Energy seems to be an uncomfortable topic, almost as if the word “money” is a forbidden subject. So many people on their Spiritual Path have resistance to even thinking about what they really want to have and / or earn as if we have to choose between being Spiritual and prosperity. This usually is based in not wanting to be or appear greedy or selfish. Money is one of two dominant types of energy that occupy our time, energy, thoughts and emotions. Even the tiniest bit of feeling un-worthy, greedy or selfish causes lack and delay, fear and doubt. With that said — knowing where the block is — I have created a Divine Wealth MindMap to help you figure out exactly what’s below the surface, blocking the flow of prosperity and abundance. All of us — including you — were gifted with the Divine Birthright of Divine Wealth. Divine Birthright is a gift given to each of us at the moment of conception through the Creator of All Things … also known as Divine Source. … the physical manifestation of prosperity and abundance when we let go of fear and doubt and embrace trust and faith. 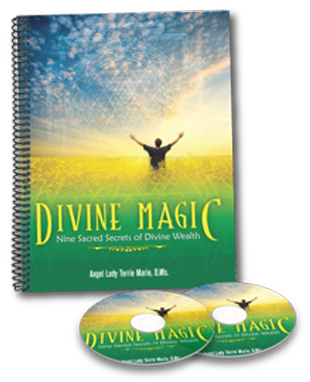 The Divine Wealth MindMap places you in the center, kind of like a Spiritual Treasure Map. There’s a video that is also included to help you use the MindMap. There are nine major areas to help you get crystal clear about where you’re being blocked and how to free yourself sooner rather than later. I hope you take advantage of all the stumbles, scrapes and bruises I have experienced along the way that made this Divine Wealth MindMap possible so you can — if you so choose — benefit much sooner and with less effort, struggle and frustration than I did. PS … Get your FREE Divine Wealth MindMap (click here) and start dissolving those pesky blocks to allowing prosperity and abundance to manifest in your life, work and business sooner rather than later. When we hear the word relationship, the first thing that pops into most people’s mind is a love or romantic, partner relationship. Sometimes it feels like everyone else is in a romantic relationship or someone else’s relationship is better. The most important relationship you can have is the one you have with you. If you aren’t happy with whom you are or where your life is right not, it affects your relationship with prosperity and abundance. Click here for a video about having a better relationship with prosperity and abundance. #3 – Trust and faith are your predominant thoughts, your primary vibration. When you are in a place mentally and emotionally, where you just KNOW everything is coming your way, no matter what it looks like on the outside … that’s trust and faith … pure and simple. Being in Alignment is all about your thoughts, emotions and your energy being a match vibrationally, to what you want to have, be and do. Click here for an in-depth video on how being in Alignment changes everything — what you attract to you and just as importantly, what you no longer attract into your life and experience. … your skills and life experience? Did you know that some of what you feel are some of the worst mistakes, missteps and many, if not all the hardships and challenges you have faced can become your most valued assets? … what is it that people come to you for help or advice about? …do you want to help others so they don’t have to go through what you did? Can you see how, who you are, is valuable to others? How everything that you are really created the person you are and how it helps you make a difference? Here’s the thing … well, I’d really rather share this with you. Click here for a special video. Which end of prosperity are you focusing on? You know …. Just a few short years ago, I was totally focusing on the wrong end of prosperity. I had just started doing what I’m doing now full-time and was watching my bank balance like a hawk! It was really scary because I was worried I wasn’t going to make it on my own. I didn’t have a “real job” so what was I thinking and who am I to be trying to teach others how to connect with Angels. This is exactly what I used to say to myself and to my best friend … I am grateful for the new client. I am grateful. Really, I am but it’s just not enough … and there you have it. Do you see it, that last part — but it’s not enough — those four little words completely and I do mean completely wiped out my having been grateful. It was right in front of me the whole time. There I was teaching my clients and students how to focus on what they wanted and I was giving my own Angels mixed messages! I know, right? Click here for a video about lack, prosperity and abundance … I’ll share with you how I turned that around and started focusing on the right end of prosperity.